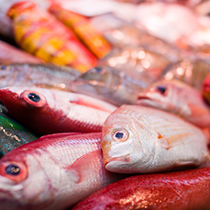 Local fisherman will teach you how to fish so don't worry about your fishing experience! Just bring yourself. 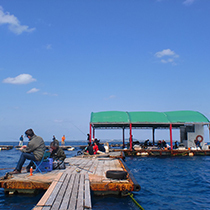 Big-game might be waiting for you!Various courses for all fishing lovers (beginners or experts) to enjoy! 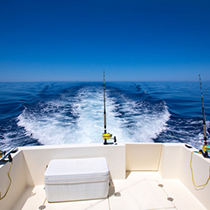 Tell us your desired fishing style and your request of fishing certain kinds of fish. We would love to help you fish your dream fish! ※Equipment not included in Payao course. Please let us know if you need any. Half price for children under twelve! 20%OFF for a group of more than 4 people. ￥3,500：Kunigami-son, Motobu-chou, Nakijin-son, Ogimi-son, Higashi-son, Tomishiro-shi, Itoman-shi, Nanjo-shi. ￥3,000：Nago-shi, Naha-shi, Nishihara-shou, Urasoe-shi, Yonabaru-chou, Haebaru-chou. ￥2,500：Ginowan-shi, Kita Nakagusuku-son, Nakagusuku-son. ￥2,000：Kin-chou, Ginoza-son, Uruma-shi, Okinawa-shi, Yomitan-son, Kadena-chou, Chatan-chou. ￥1,500：Onna-son.